As part of its work to connect voters and candidates, Arts for LA presents these Arts & Culture Candidate Surveys to promote dialogue around issues related to arts education and its benefits. All eligible candidates were contacted to participate in the survey. If you would like to submit new or revise existing responses, please contact Cristina Pacheco at advocate@artsforla.org or 213-225-7580. Arts for LA thanks the Pasadena Arts Council for supporting the process as a local partner. The Actors Fund, KCET Artbound, California Alliance for Arts Education, LA2050, LA STAGE Alliance, Latino Arts Network, Otis College of Art and Design, and the Social & Public Art Resource Center (SPARC) served as Regional Partners by promoting Arts & Culture Candidate Surveys throughout Los Angeles County. 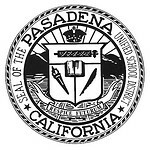 Voting for Pasadena Unified School District will be held on Tuesday, March 10. I attended TCUSD schools which have a performing arts program head-and-shoulders above most districts in the surrounding area. I started playing the cello at age eight, and played until i graduated. Along the way, I also picked up the double-bass. I played in the high school orchestra, musicals, jazz band, as well as their show choir, the Brighter Side Singers. I was active in the drama productions, too. After high school, I was active int eh drama department at Cal State Los Angeles, as well as driven t perform as a stand-up comedian around the greater LA area. My experiences in public school at TCHS essentially centered around my involvement in their performing arts program. I self-identified as a performer, and it gave me a purpose and circle of friends at school. It got me to school, motivated me excel in academia in order to perform, and it opened up social opportunities all developing children/teens need. I feel any effort is a good start. Unfortunately I am not informed of the particulars of performing arts in the Pasadena Unified School District. My experiences are entirely from TCUSD both as a student, and as a science teacher teaching there for the last ten years. My aspiration to the PUSD BOE is motivated partially by my desire to see public education grow to a robust and nurturing place for all students. I will take my experience from TCUSD and find ways to grow them in PUSD. Create a Performing Arts Booster Parent/Community association. Find collaborative venues in the city to showcase PUSD students, such as the Boston Theater, Ice House Comedy Club, and the Pasadena Theater. Participate in the inter-school competitions for orchestra, band, and even ComedySportz improv competitions (which I coach at TCHS, and would love to see Pasadena pursue). Pasadena has four high schools/secondary schools that could easily be presented as campuses specializing in certain kinds of performing arts; say, music at Pasadena High, Drama at Marshall, Fine Art or Media Arts at Blair, for instance... Given that Los Angeles is a huge hub for entertainment, to not direct students to potential careers in Hollywood seems particularly obtuse. We could easily increase enrollment by re-imaging PUSD with a strong -- even core -- arts curriculum.